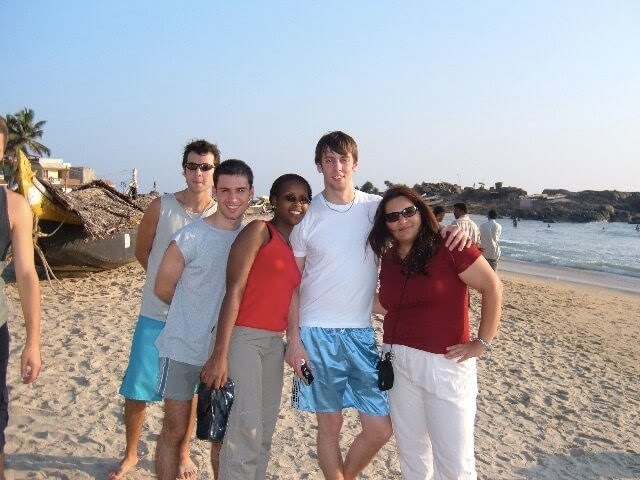 In January 2005 I had decided to quit my job to travel to the other side of the world. My destination was India. What an experience! But you won't believe how that year came to an end. I took one of the most important decisions of my life, and I also had a little surprise. Now in this blog post I'm sharing what I did during my last month in India. You won't believe how those almost twelve months in India came to an end. 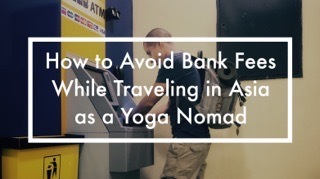 In December 2005, after completing the meditation course in Nepal that I mentioned in Why I Chose Yoga Instead of Buddhism, I made my way back to India. I went straight to Ranchi to visit the children school that Paramahana Yogananda founded in 1917. 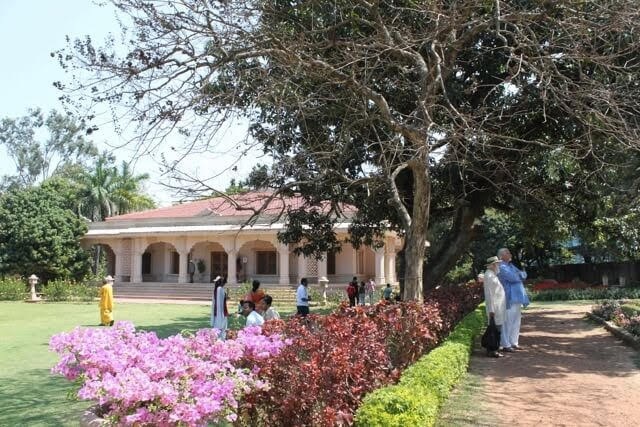 "The Kasimbazar Palace at Ranchi was transformed into the headquarters for the new school, which I called Brahmacharya Vidyalaya in accordance with the educational ideals of the rishis. Their forest ashrams had been the ancient seats of learning, secular and divine, for the youth of India. At Ranchi I organized an educational program for both grammar and high school grades. It included agricultural, industrial, commercial, and academic subjects. The students were also taught yoga concentration and meditation, and a unique system of physical development, “Yogoda,” whose principles I had discovered in 1916." I was a bit disappointed. It doesn't work as a school anymore. It is now the headquarters of Yogoda Satsanga Society of India, the organization founded by Paramhansa Yogananda. Still, I felt very fortunate to be there. I couldn't stay over night since at that time I was not a member of Self Realization Fellowship, or of Yogoda Satsanga Society of India. But I was able to spend the whole day there, from 5 am till 9 pm. They offered me all three meals and I was able to join the morning and evening meditation sessions. After Ranchi I made my way back to Mumbai. I had been living in Mumbai for about eight months, so it was kind of my base. I had left all my luggage at the AIESEC flat in Andheri, under the bed of Xavier, one of my best friends. From Mumbai some friends and I took a night bus to Palolem Beach, in Goa, to celebrate Christmas and New Year. I was taking a short break from my pilgrimage around India. The 1st of January, after eight days enjoying the pleasures of the world in Goa, I made my way to the south of India, back to Trivandrum. This time I wanted to stay at an Indian ashram. I stayed at the Sivananda Ashram in Neyyar Dam. My first ashram experience! I really enjoyed it, although I only stayed for three days. We had a very busy schedule. 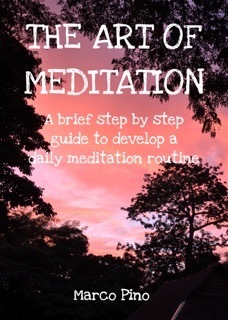 Satsang (group meditation, chanting and a discourse) for one hour and half, twice a day. Hatha yoga for two hours twice a day. Also some karma yoga (selfless work) and a lecture. After almost twelve months in India this was the first time that I ate 100% Indian style, sitting on the floor and with my hands. At first I was a bit surprised with the amount of chants and rituals. There was even a lot more chanting and rituals than at Kopan monastery! 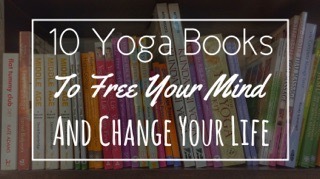 You might remember, I complained about that in my previous blog: Why I Chose Yoga Instead of Buddhism. However I did like all the chants and pujas at the Sivananda ashram. It felt very different to me. No doubt this is my path. This experience in India was soon coming to an end. I needed to take my flight back home in a couple of weeks, so I wanted to sort of end my trip where it had all started. That's why, after those three days at the Sivananda Ashram, I made my way to Kovalam Beach, one of my favorite beaches in India. Kovalam is just an hour drive form the ashram. 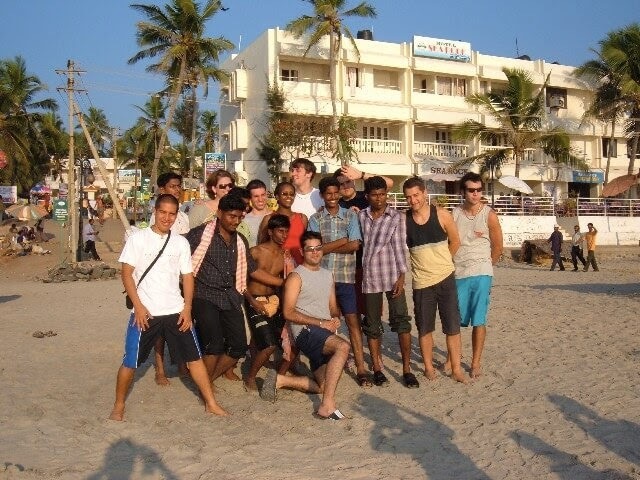 I had visited Kovalam beach several times with all the TCS trainees while we were following our training in Trivandrum. That was almost twelve months before! I talked about that training in Why I Didn't Expect My First Trip to India to Be Spiritual. So I spend those few days in Kovalam beach contemplating about everything that I had lived during that whole year in India. What an experience! As I mentioned before, already during my first few months in India I started to feel a transformation in me. Without realizing it, India taught me to live fully in the present moment. I was constantly feeling so alive and grateful. At some point I even felt I had become myself for the first time ever. Another one of the highlights of this experience was the wonderful new friends I made, from all around the world. I'm in touch with many of them even today. Without them this experience would've been completely different. On top of that, after those last three months backpacking around India and Nepal on my own, I just felt incredible. So many dreams had become true. 2005 had literally become the best year of my life. I followed the steps of Paramahansa Yogananda in Kolkata. I stayed at a Buddhist Monastery in Kathmandu. I stayed at an ashram in India. I even became a real backpacker, something that I had also dreamed about for many years. My gratitude was over the top. After seeing all those dreams manifest, and after everything I had learned during that whole year, I naturally developed a super positive and optimistic attitude. I had become a very different person, sort of a better version of myself. I became confident like never before. I learned to believed in myself. I knew I could achieve everything and anything. I had no doubts, only certainty. It was during those last few days at Kovalam beach, while I was contemplating on my experience in India, when I took one of the most important decisions of my life. That's the decision that has brought me to where I am today. I decided that I wanted to come back to India, and I wanted to come back to do one specific thing. I wanted to study yoga. I wanted to live in Indian ashrams. I wanted to go into a real spiritual journey, long term. I wanted to learn more and experience more. It was not a goal and I didn't make any plans. At that moment it was simply an intention, a true honest desire. I had no idea how that was going to happen. I had zero money and I had to go back to Ecuador, but it didn't matter. I had faith and I knew everything was going to work out just the way that it needed to work out. This amazing story wouldn't be complete without a love story, don't you think so? Well, it does has it all. The next day, while I was having dinner at a local restaurant in Kovalam beach, all of a sudden I heard, "So, what kind of book are you reading?" As I raised my head I saw this cute girl standing right in front of me. We had crossed each others path just an hour before, while I was looking for a restaurant. When she saw me again, sitting there by myself reading my book, she took the initiative and approached me. I loved that. After a moment of staring at her in disbelief I invited her to join me on my table. We had a fantastic time together. The next day I was supposed to take a train back to Mumbai. Guess what I did? I decided to miss that train to spend one more day with her. Isn't that sweet? It was totally worth it! The following day, after a delicious south Indian breakfast at a random hotel in Trivandrum, she accompanied me to the train station. I think pretty much as soon as I got in the train we started texting each other. And once I was in the train I did what every other normal human being would have done. I went over and over again through the few photos I had taken. We stayed in touch. No smartphones at that time btw. I had one of those beautiful simple Nokia phones. We really wanted to spend more time together so we decided to meet again, this time in Goa. I still had about ten days left in India. So after a few days in Mumbai I took an overnight train from Victoria Terminus to Margao station. This became another one of those unforgettable journeys. I had not time to get a ticket so I had to jump in the general class. I can't describe how pack the train was. After living in India for almost a year, and traveling in packed trains all the time, I had never seen something like this. I found a spot for my feet to stand with my backpack, but after a couple of hours, around 10 pm, the locals invited me to sit with them, on the floor. There was no other place. It was one of the most humbling and beautiful experience ever. We were sleeping against each others legs and backs, taking care of each other, making sure everybody was comfortable. We had literally become one. At that moment we were all like family members, or good old friends. The next morning I finally made it to Goa. It was as romantic as it could be. Once we saw each other at the platform we ran to each others arms, and we had the sweetest kiss ever. It was a short kiss. You can't go crazy kissing in public in India, that would be totally inappropriate. Then we made our way to one of my favorites beaches in Goa, Palolem beach. I think this was probably my third time there. We had the most beautiful days together. In no time we fell deeply in love with each other. You know, at that time I was at my highest moment ever, feeling connected, confident and also of course, with my heart wide open. When I saw directly into her eyes all I saw was love. 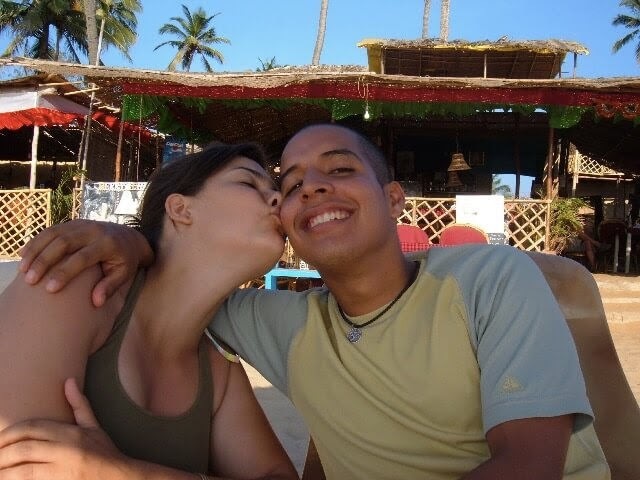 Sitting at a restaurant right at the beach, in Patnem beach (next to Palolem), we decided to become a couple. It was the 15th of January 2006. We stayed at the beach till the night came. It couldn't had been more romantic. Sitting under the full moon light, with some extra candle lights and with a bit of wine. We even had fireworks! Can you believe this? After everything that I had lived during that whole year in India, there couldn't have been better way to end what was already the best year of my life. I'm glad I didn't become a monk btw. Lol. The 18 of January 2006 I had to take my flight back to Ecuador. It was such a strange experience. A few days earlier I was sleeping on the floor of an overnight train in India, among the locals. Now I was traveling in a very fancy British Airways flight, which felt like first class. While in the flight, for the very first time in my life I started to feel homesick, but not for my home country. Can you guess for which place? Well, it's pretty obvious, no? I was feeling homesick for India. I had no idea what was going to happen next. All I had at that moment was the intention to go back to India, and a new girlfriend from another continent. She was originally from Belgium. I had no plans. But it was all right. I had absolute trust and faith, and I was deeply in love. I knew everything was going to work out just all right. This how my first year in India came to an end, but of course, this story is not over yet. I still have so much to share. I'll tell you the continuation of this story in my next blog post.